RealCalc Plus – For students and science aficionados! I may be a full fledged nerd but that doesn't mean I automatically excel at everything that's considered geeky. My weak point has always been science. At school I managed to get by by studying and using the internet to do research—as well as a few useful apps that helped me along the way. 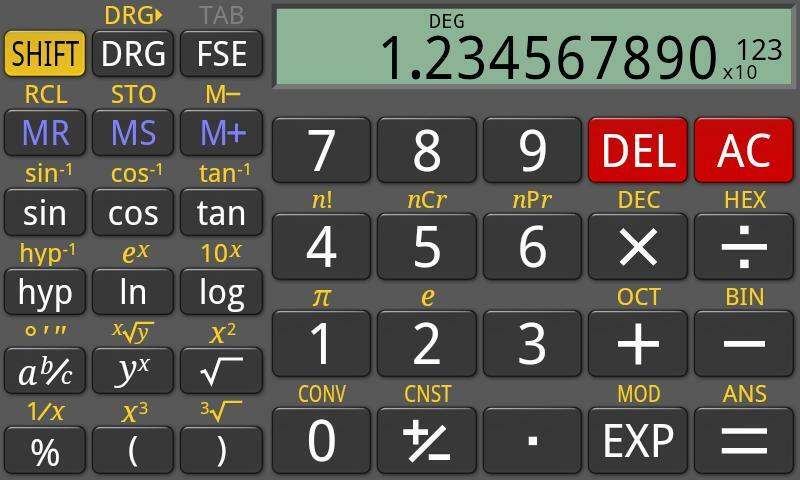 As luck would have it (not) I find what I was missing for all those years now that I've graduated from high school, but what the hey, it's worth reviewing for you all, I'm pretty sure a lot of readers could do with a good scientific calculator. So let's jump right in and take a closer look at RealCalc Plus. The stock Android calculator can handle basic calculations—and that's all she wrote. While this may suffice perfectly for some users, others will require more performance. 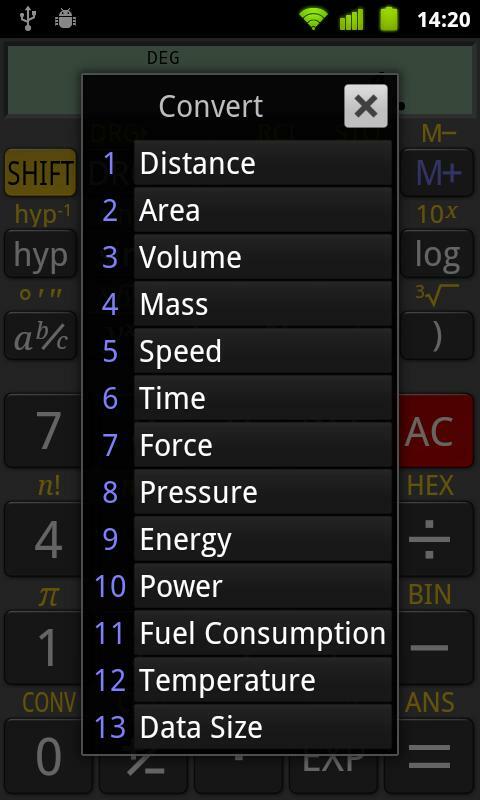 In such instances, very good scientific calculators such as RealCalc Plus come in handy. 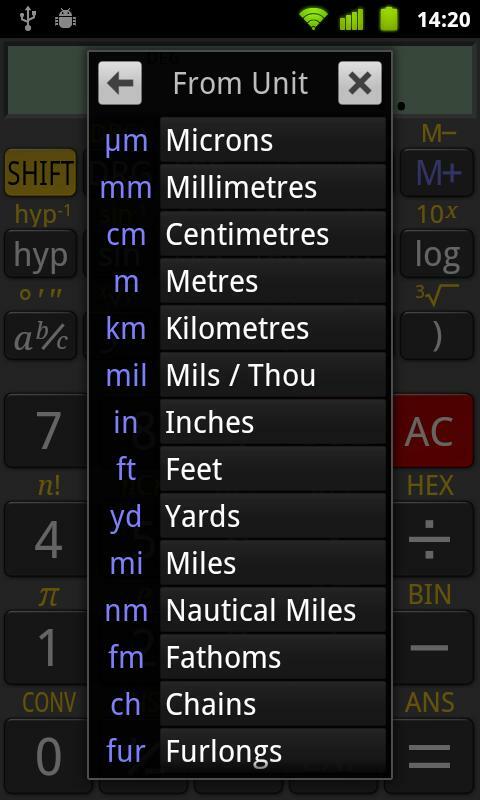 Root calculations, trigonometry functions (sin, cos, you know the deal), algebra notations—the app claims to do it all. But does it? 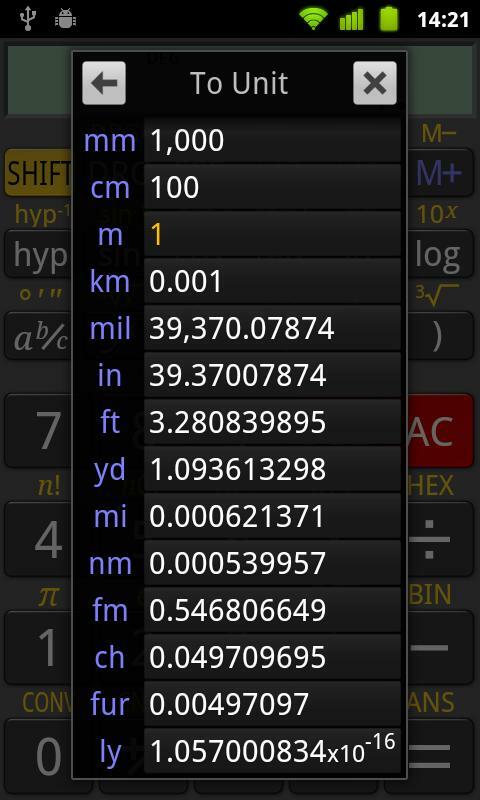 Numbers can be converted to physics units, and other conversions are equally possible, including temperature, unit (Mbyte, Kbyte), distances, time, power, weight and energy. Users may also save their own conversion equations. (Unknown) constants (such as Pi, for instance) can be consulted and are just a button push away. If you find any constants to be missing you may always scour the internet and save your results within the app. There also a copy and paste functions should you wish to insert results into another app. 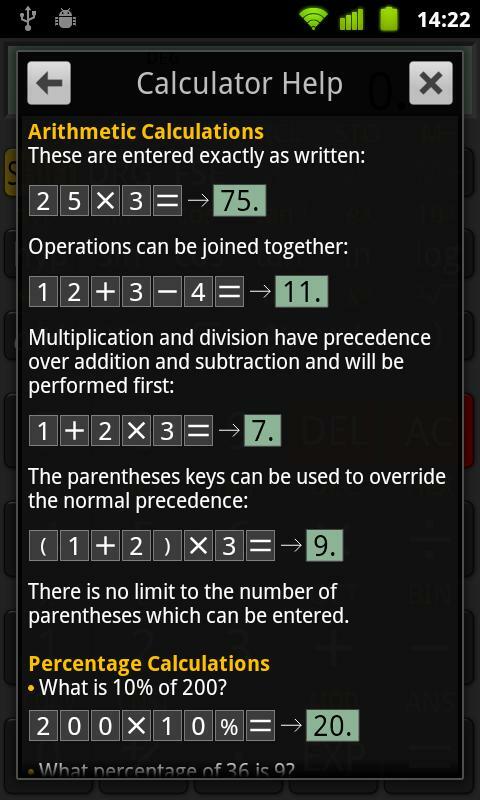 RealCalc Plus is quite simply a full package for anyone looking to download a good scientific calculator app. 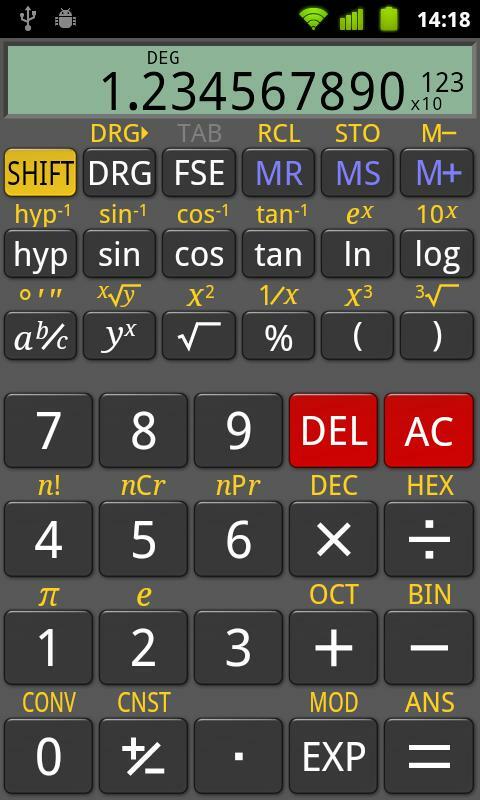 Sure, some users may find that it takes a brief while to get accustomed to this app and scientific calculators in general, but the app doesn't disappoint and gets it right every time, be it simple equations or more complex trig features. A well deserved five star rating! RealCalc Plus is great in this department because though it can tackle difficult equations its set-up is anything but fussy or muddled. It's nice and tidy and thus easy to use. Results are also saved intermittently which ensures nothing gets lost along the way. The UI is no beauty, let's be honest, but it does the trick. RealCalc Plus ran smoothly throughout our test phase and is remarkably speedy, even when dealing with more complex calculations. No crashing, either. 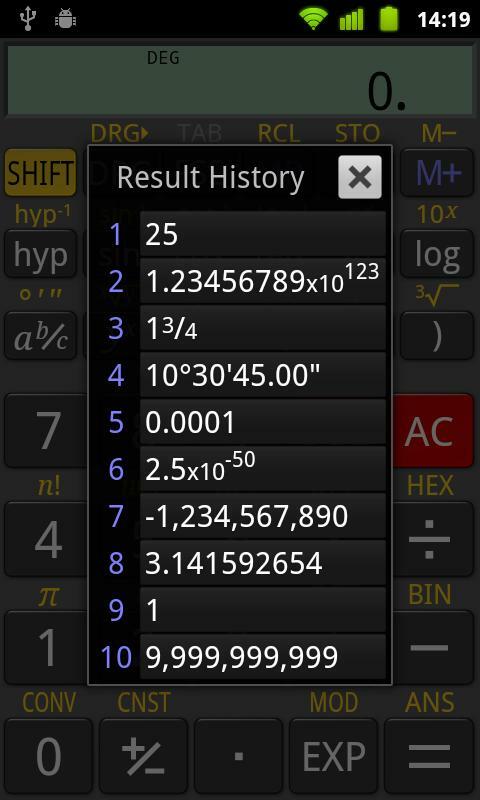 RealCalc Plus costs EUR 2.29 from Google Play; considering what an in-depth scientific calculator this is I deem the price tag to be fair. The app gets the job done, and better than many a pricey “real” calculator by Casaio and co. If you're still feeling unsure, why not give the lite version a go. This version doesn't provide as much but is also very good. However, I recommend supporting the developers that came out with this really excellent app by purchasing the full version of RealCalc Plus. 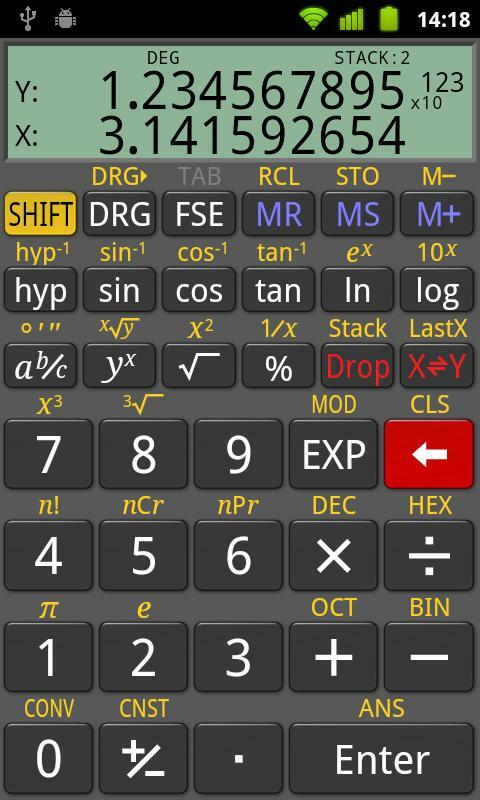 Scientific calculator with all the features you need, in one application! Great! Looking forward to hearing from you again soon then, michiyosugiura. This is very beneficial web page and I will check out this web page again later on.